Bloomberg Opinion columnist Barry Ritholtz interviews Ed Yardeni, the president of Yardeni Research Inc., a provider of independent global investment strategy research. Dr. Yardeni previously served as chief investment strategist for Oak Associates; chief investment strategist and managing director of Prudential Equity Group; chief investment strategist for Deutsche Bank; and chief economist for C.J. Lawrence, Prudential Securities and E.F. Hutton. 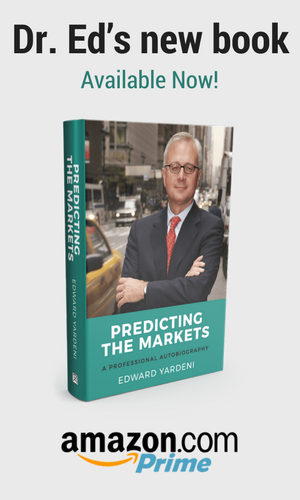 Yardeni recently published the book "Predicting the Markets: A Professional Autobiography." 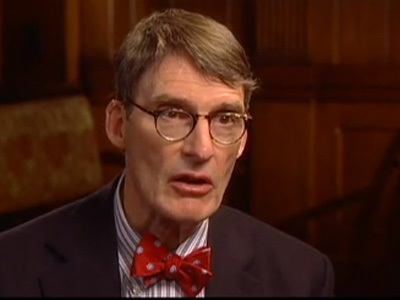 "Well I am Jim Grant and this Grant’s Interest Rate Observer of the Air and with me today is Edward Yardeni who is first and foremost the father of five and secondly is the eponym, proprietor and brain box of Yardeni Research, Inc. consulting economist. I don’t know Ed, you are a PhD in Economics but I think it is part of the high praise I’m about to lavish on you that you would never know it. Ed and I go back to the year 1800, no it was 1900 something or other. Ed got out of Cornell in 1968 and went to Yale ever so briefly to attain an MA I guess or something like that and then a PhD in Economics under the inimitable James Tobin, and he has worked all around the place on Wall Street, not to mention the Treasury and the Federal Reserve Bank of NY. He jokes that he cannot hold a job but he has certainly held his clients who hold him properly. Ed, you have been the vanguard of thought on things as varied as demographics, interest rates, the Cold War, and digital technology. So I think I’ll stop talking now, and welcome Ed Yardeni to Grant’s Interest Observer of the Air."